Trying to find a decent set of bookshelf speakers for less than a $100 is something many consider impossible. If you ask the more conservative audiophiles, they’ll probably tell you that you need to look at $500 price range to get something decent. However, we don’t necessarily agree. There are plenty of models you can get for $100, that will give you a satisfactory performance. Today we’re going to show you some of the best we’ve come across during our research. All of these have been proven many times so far, meaning that you can count on good sound quality. Great performance for the price. Micca MB42X are an evolution of an already great MB42 series. This time around, Micca has decided to include a passive crossover that pushes the performance of these speakers from decent to great. With great projection, a very balanced output, and generally good color, these are simply amazing for the price. Micca has once again taken the pole position. 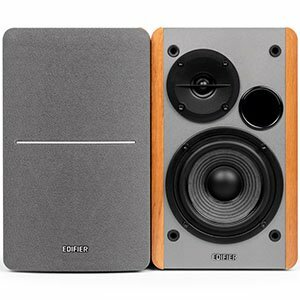 ​One of the issues which we find with a lot of what is available in the broad marketplace of bookshelf speakers is that they are highly sensitive to the exact placement you end up using within the room. The MB42Xs are no different, and for this reason we strongly advise that you have a number of possible placement options if you decide on purchasing a pair of these. Obvious conflict between the driver and the tweeter. 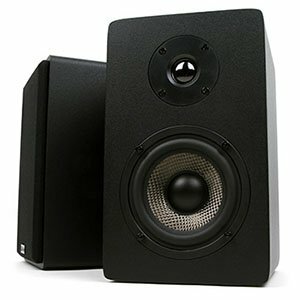 Polk Audio’s T15 bookshelf speakers have been the cornerstone of the affordable segment for a long time. Their raw performance is packed full with potential that just needs to be tamed. These come with a set of two great transducers and a lot of built-in versatility. As such, they are a great value for the money. Balanced response across the range. 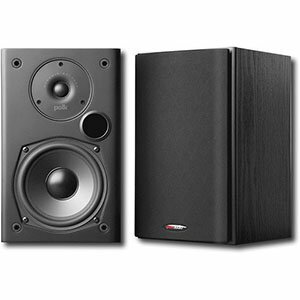 Edifier R1280T powered speakers were built with performance in mind. These offer a convenient way to enjoy both music and media at a fairly low price. With front firing ports, good projection and satisfactory power output, you can expect a great response across the range. Especially if you need versatility. ​The only major disappointment with this model is the fact that the included accessories do not live up to the build quality of the speakers themselves. The cables will basically require immediate replacement as they are just not up to scratch and whilst this is an inexpensive accessory to buy, it isn’t ideal that this is a pretty much mandatory purchase. Other than that, this is a very solid choice. A bit shaky in the lows. Mackie’s CR3 has been the staple tool of many budget users looking to get into music production game. Inexpensive by nature and reasonably good, CR3 offer the type of performance that will make mixing easier. These are powered speakers, meaning that you don’t need any extra gear to run them. Overall, a great entry level set. ​It is a little unfortunate that Mackie has opted not to allow the power cable to be removed from the speakers. This can somewhat limit placement options, and cable management is also made more difficult by this fact. Given the price, however, this is a fairly minor issue. This problem notwithstanding, these make for a fantastic introduction into the bookshelf speaker market and should not be overlooked. What To Expect From $100 Loudspeakers? Having reasonable expectations is important when you’re dealing with budget audio equipment. Speakers you can find in this price range are going to cut some corners in order to have competitive pricing. That means you are getting the bare bones package that looks bland and is devoid of features. However, most brands will invest all of their allocated funds into performance and build quality of these speakers. Depending on which brand you go with, you can find larger drivers which are voiced very well for most applications. Are these going to be some of the best bookshelf speakers out there? Probably not, but they will give you a taste of passive audio performance. With all that in mind, some of the speakers such as the Micca MB42X, come with a built-in passive crossover. This feature alone is capable of solving most of the problems speakers in this price range deal with. While this is an exception to the rule, it goes to show that nothing is set in stone and that you can run into interesting combinations. The absolute best way to squeeze all of the available performance from cheap home speakers is to know how to EQ them. This generally goes for any speaker, especially the $1000 models. The only difference here is that you will have to do this equalization with not so many parameters available. In other words, it’s going to be a shot in the dark. Even so, there is definitely room for improvement. Affordable speakers, such as the ones found on our list, won’t meet most of the audiophile standards. Trying to achieve hi-fi performance in this price range is pretty unrealistic, to begin with. However, even the cheapest speakers such as these will be a good upgrade compared to your average, cheap active set. Consider yourself warned, as there is a real chance you will be pulled into the world of high-end audio. Your gateway drug is going to be this exact set of cheap speakers everyone likes to criticize and belittle so much. Finding a good set of $100 bookshelf speakers will get you a decent enough performance for a variety of applications. 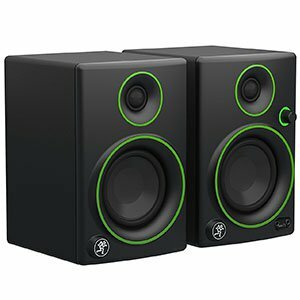 Whether you are looking for something to use on your desktop or just a decent stereo pack for your media center, these speakers will get the job done. We have discussed some of the shortcomings and limitations of affordable bookshelf models, which should give you a relatively good picture of what to expect. Being realistic is paramount. With that in mind, the models listed above are by far the best bang for the buck you can find at the moment.